Home Bus tour What is JEF doing towards the elections? The election is getting close, here is the federalist towards the elections. And here you can find all the materials prepared by JEF Europe to help prepare the activities. See the full list and the dates. Celebrating a real federalist victory in the campaign of the European Elections. For the first time in European history there will be debates between the candidates for the Presidency of the European Commission. On the 28th of April and on the 15th of May the debates will take place. We urge our members, friends and member sections to organise debate watching events in local cafés, pubs or even in peoples homes. On the 25th of May, the day the results of the elections are released we will organise election wake nights all over Europe. 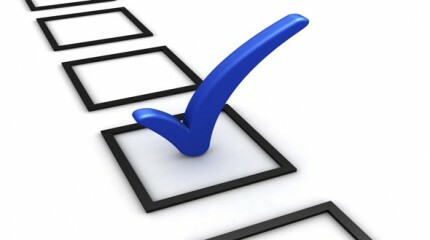 To create a European atmosphere we will connect all our events together through storify and video feeds. The 1000 informative events is the sum of all election information events JEF Europe is organising throughout the continent. 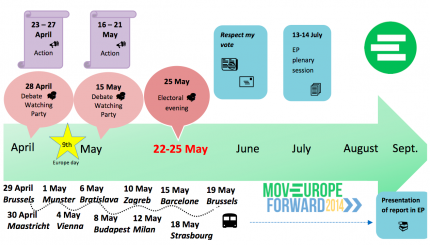 All events from Norway to Azerbaijan is a part of the MovEurope2014! project.